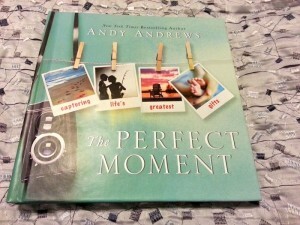 A few days ago I reviewed Andy Andrews’ book The Perfect Moment. Looking back now… this was one of those moments. To me the best gifts are thoughtful and unexpected. 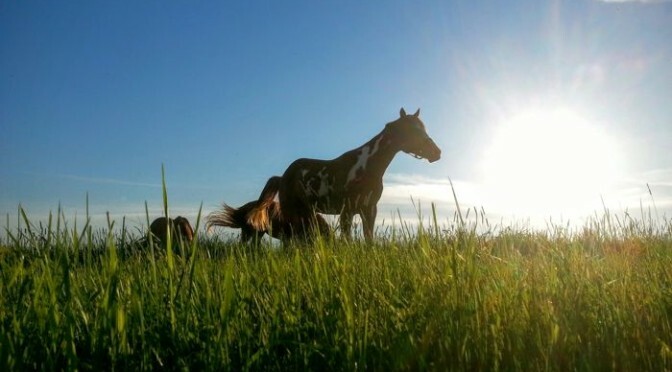 Recently, I was the recipient of just such a gift. My Aunt Sue had read a blog post where I mentioned that I listen to Andy Andrew’s podcast. It turns out that Andy and his family live where my Aunt and Uncle spend their Winters. They brought me back a copy of his book “The Perfect Moment“and gave it to me the first night of our recent annual family reunion camping trip. 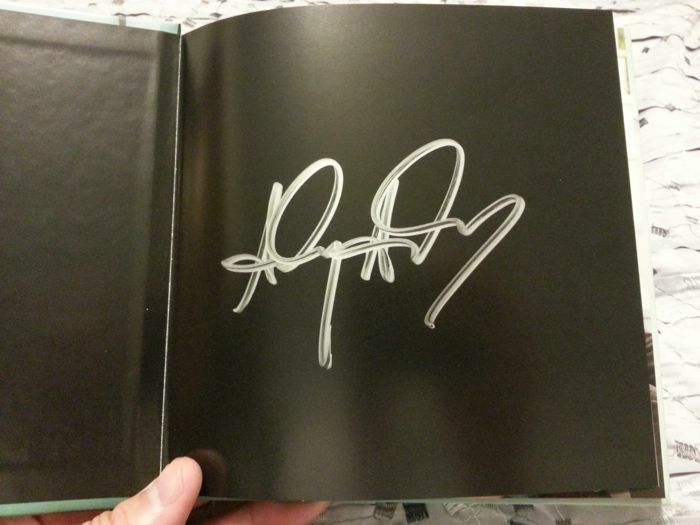 Not just a copy of the book… but an autographed copy! Pretty cool. This afternoon I spent some time reading and reflecting on the book. That’s right, reflecting. You see, “The Perfect Moment” is part story, part devotional, and part inspirational. It challenges the reader to look for the perfect moments in their life and to create situations that would allow perfect moments to happen. I’m a slow reader but was able to take in the entire book in about a half hour… but I know I’ll be chewing on it’s contents a lot in the week ahead. 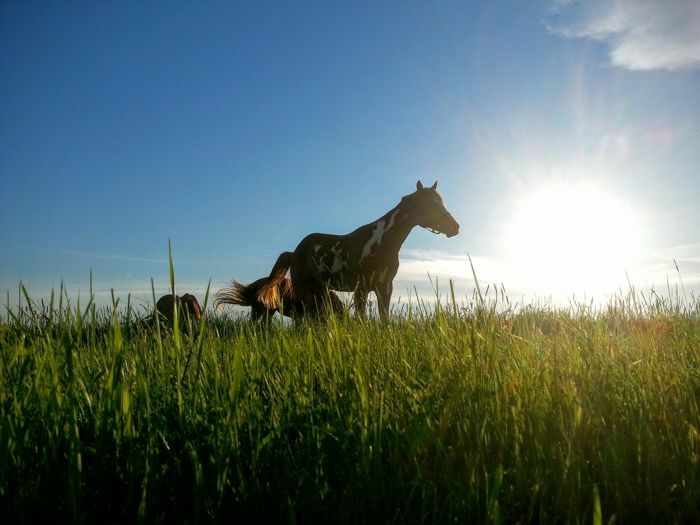 Once you’ve honestly answered the questions and created your “desired outcomes” he offers a way to hold yourself accountable and help ensure you accomplish them. This is a great, little book that I think could easily be used as the backbone for a small group study. In fact, I might even see if a few guys from my Church want to work through it together over the course of a few weeks. It’s also a book that could and should be revisited a couple times a year for encouragement and inspiration… and to plan out your “desired outcomes” for the next six months. 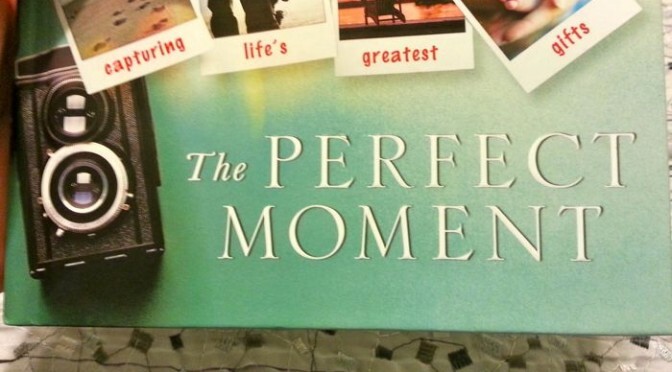 Have you read The Perfect Moment? What were your thoughts? 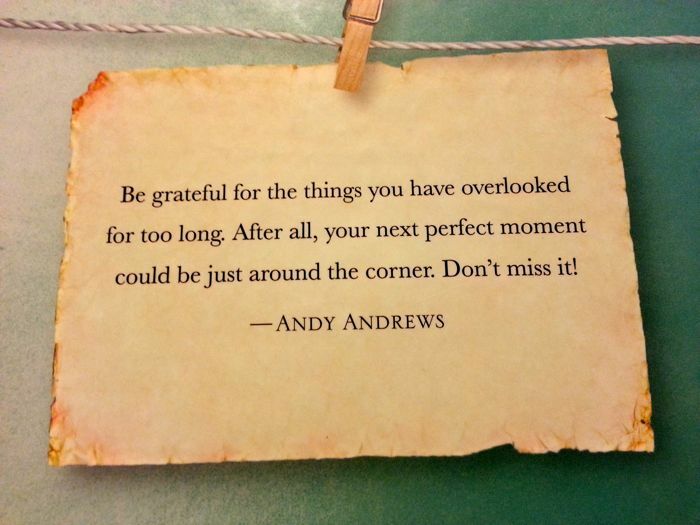 If you’re looking for another Andy Andrews book I can also highly recommend The Traveler’s Gift. 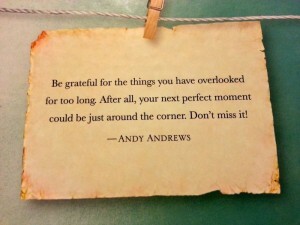 What Andy Andrews book would you suggest a friend read? Each week during our Church service we have a moment or two for those in attendance to share their joys and concerns. This is a very special time that I feel brings our congregation closer together. It’s great to be able to celebrate together! Celebrations are always good. It’s also comforting to know that if you need it, there are pews full of prayer warriors ready to lift up your worries to God. I really admire those that are willing to share. For some, speaking in a crowd isn’t easy. Asking for prayers publicly, for sometimes very personal situations, is even more difficult. But week after week people continue to share with each other… and with God. The fact that people feel safe and comfortable enough to share and pray together is one of the things I appreciate most about our Church family. I also respect those who care to keep their prayer requests to themselves. The decision whether to share or not is one that ultimately doesn’t matter. If it’s on your heart God will hear your prayers no matter if you speak them out loud or sit in silence. My hope and prayer is that you have a group you can pray with… and for. 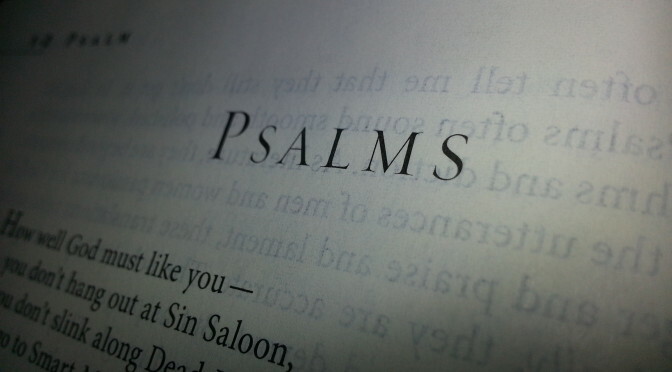 If not, remember that you are not alone, as noted in Psalm 34:18 (MSG).